Rambler newspaper: And how is this Fellowship different from those you have attended before? George Ngwane: Well, I have attended a broad range of residencies with themes that are separate yet crosscutting. My Chevening residency in York and Rotary Fellowship in Bangkok were on peace while those of Commonwealth in London and Geneva were on minority rights. But let me add that there is a new nexus between conflict management and minority rights as in the case of the ethnic minority socio-economic political struggle of the Niger Delta or Ogoni people in Nigeria, the present religious minority resilience of the Yazidi people towards ISIS fundamentalism in Syria and Iraq and of course the linguistic minority standoff between the Anglophone minority and the policy makers in Cameroon. Rambler newspaper: Talking about minority some would argue Anglophones are not a linguistic minority but a de facto state. 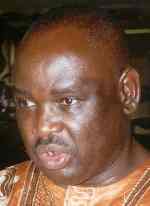 George Ngwane: Sure, I completely agree with them but my analysis is that Anglophones lost their statehood on 20 May 1972 through the abolition of the Federal structure and are now relegated to minorityhood. Since then, that is since 1972, the Francophone power elite, some Anglophone lackeys, and to a large extent the global picture, paints Anglophones as a numerical minority. In fact, the UN team that interviewed for the Fellowship was surprised to hear me speak in English and to later know the history of Cameroon. Thirdly if you look at what is called the three pillars of Minority you will notice that they fit into the Anglophone linguistic minority definition. The three pillars include people fighting against forced assimilation, people who wish to enjoy and exercise their own separate identity and people generally deprived owing to their minority status of effective economic participation. Now this is not to disclaim other historical interpretations of the Anglophone problem be it the ‘never was a union’ hypothesis or the defunct statehood status. What I am saying in effect is that while the mixed bag of historical narratives of the Anglophone people legitimately enriches our political conversation, the current Anglophone Spring fuelled by Common Law Lawyers, Anglophone Educators, social media interventions speak squarely to the three pillars of minority I just mentioned a while ago. Rambler newspaper: What to you are the main ingredients of what you have just called the Anglophone spring? George Ngwane: It is first an analogy borrowed from the Arab spring in North Africa a few years ago, and a metaphor for people seeking the right to self-determination and the right to a people-centered leadership. As for the issues, they are as multifaceted as they are interlinked. They could however be summed up in the legitimate demand of Anglophones to reverse or return the Anglophone minorityhood to statehood. How that statehood will be depends on the bargaining power and negotiating skills of the contesting actors. Ngwane discussing with Prince Zeid Ra'ad Al Hussein, UN High Commissioner for Human rights. Rambler newspaper: And as an actor yourself do you foresee a broken alliance or a more accommodating union? George Ngwane: All through my writings, public discourses and the All Anglophone Conference of 1993, I have militated for a two-tier Federation, a kind of confederation that also accommodates regional autonomy. You only need to read the draft Federal constitution that the All Anglophone Conference presented to and snubbed by the Tripartite constitutional conference in the 90s to know what I mean. However, going by the increased radicalization, resilience and resolve by the current leaders of the various socio-professional bodies of Anglophone stock, and the head-in-the sand dialogue approach by the Francophone power brokers, no one would be surprised of a zero-sum outcome. Do not forget that Mola Njoh Litumbe has initiated a sign-up referendum advocacy platform which seems to be gathering human momentum. What all of these indicate is the need for constructive dialogue as recommended by the African Court on Human and Peoples rights which as far back as 2009 stated in Article 215 of the Banjul Declaration that the Cameroon government enters into constructive dialogue with Anglophone pressure groups. Lest I forget the Special Rapporteur for Minority Rights at the UN, Rita Ndiaye, made a country visit to Cameroon in 2010 and also issued a report which contains the Anglophone problem. And in all of these we have not even heard the President Biya’s voice like we did in the Eseka train crash. My conclusion is that it was time Mr Biya made a public statement on the Anglophone problem and urgently too. Rambler newspaper: Coming back to your Minority fellowship, what impact can it have on the Anglophone problem? George Ngwane: Apart from the fact it gives greater visibility to the problem at an international arena with various legal mechanisms, apart from the fact that one is exposed to avenues like treaty bodies, special procedures and the human right council to make submissions or communications on the problem, I think presenting an oral statement on the Anglophone problem like I did during the Forum on Minority Issues on 24-25th November is like the icing on the cake. Rambler newspaper: Can you further explain? George Ngwane: Yes, the forum on Minorities is a subsidiary body of the Human Rights Council in the UN that provides a platform annually for individuals from minority communities to make a statement on their country issues as related to their minority grievances. If you think of the fact it has an attendance of more than 500 persons including about 60 to 80 member states, and the fact that it raises more awareness internationally as the oral statements are webcast worldwide, then you cannot underestimate its short or long-term impact. But I think that impact can only be sustained by the organized use of domestic remedies by the minorities and the sensitive response from the power elite.